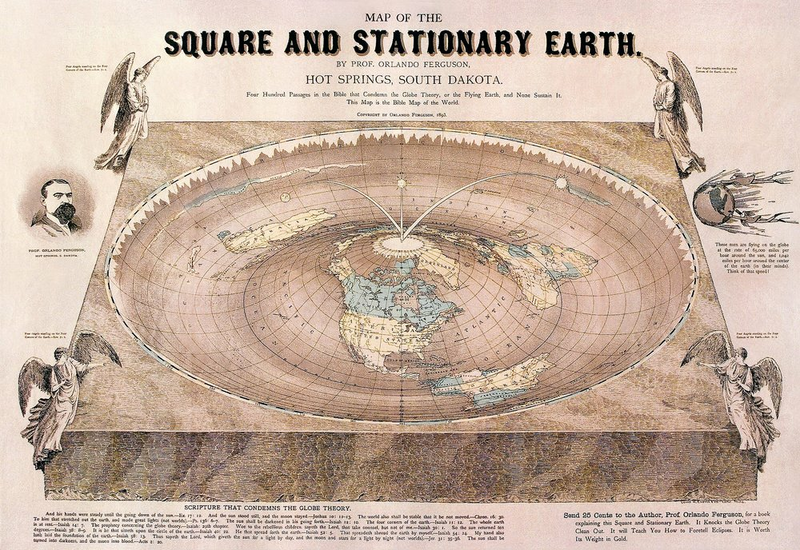 It's so easy to dismiss "flat-Earthers". Most of my colleagues do so with a contemptuous smirk and "of course the Earth is round", sometimes following up with "you idiot". I myself usually respond with a contemptuous roll of my eyes and "I refuse to feed the trolls"...sometimes following up with "you idiot". Or at least that was my response until an interaction during the last COSI After Dark, when a young couple started asking me about flat Earth and various conspiracy theories during my live planetarium show. I answered their questions, but after the show I realized that I probably didn't convince them of anything. Where was I going wrong? I don't really care what a person believes; what's more important is why a person believes. If we agree on the "why", then we can debate the evidence and discuss the facts. If we disagree on the "why" - if we're approaching the issue from fundamentally different perspectives - then that's what we need to examine first. After the planetarium show it struck me (and I apologize if I'm late to a common realization) that the question of Earth's roundness isn't a debate about facts, but something deeper. Perhaps a flat-Earther isn't questioning the evidence, or even doubting me personally, but challenging the system that I represent. That line of thinking leads to some intense questions. How many times has science been used to lie to a group of people? To harm them? How many times have scientists been willing participants in that deception? To put it crudely, how many times have groups been screwed over because of science, or at the very least the socioeconomic systems that promote and entrench scientists? Can you blame people for rejecting the entire apparatus altogether, and voicing that rejection in the form of flat-Earth theories? If we want to honestly respond to flat-Earthers, I think we first have to take an introspective look inwards and solve the riddle of rebuilding trust.